By now you should have summoned all your ninja friends and watchers to join you to watch Rurouni Kenshin: Kyoto Inferno else you are missing a lot. 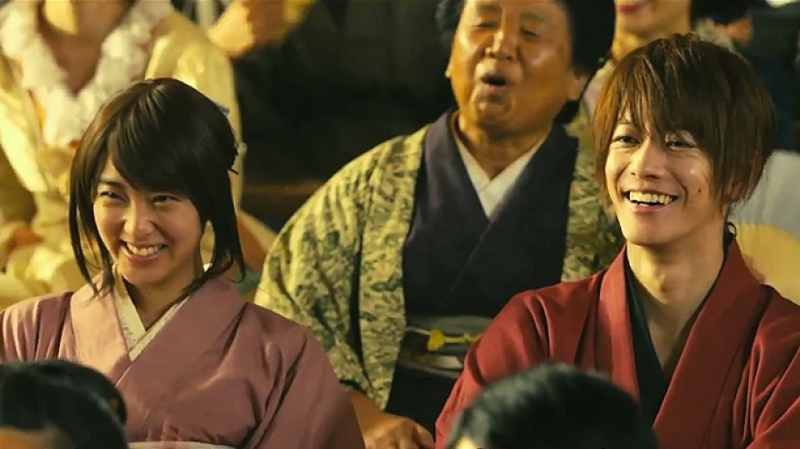 This sequel is a foreshadowing of the real war to come in Rurouni Kenshin: The Legend Ends, the third and final installment of the Kenshin Himura saga, which will be shown in September this year. A shadow that could stand on its own- on the intricate details of production, set design and cinematography for a period film. It’s crazy how the characters look alike with their anime counterparts. I have to disclose that I am a big fan hence, I don’t even have to tell you how awesome the fight scenes were. So mark X your calendar this weekend (and on September 24, 2014 too) as you’ll wander again in 1878 Japan. Meanwhile… here is what is yet to come.